Multiplatform library working on Unix systems, Windows32/64 and also Windows CE and others. You can use it to read, change and extract information from a PDF file. 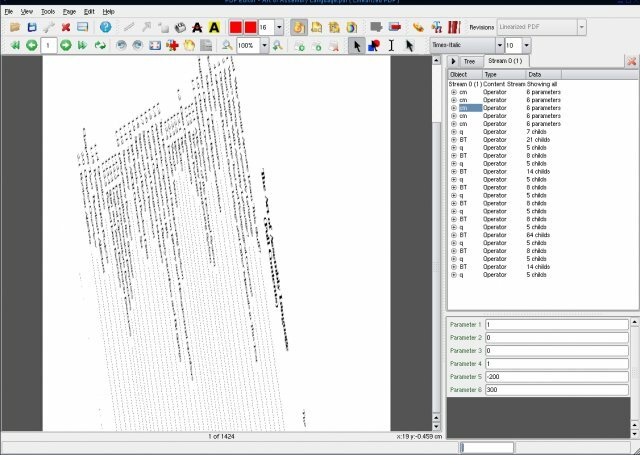 It is based on xpdf library. 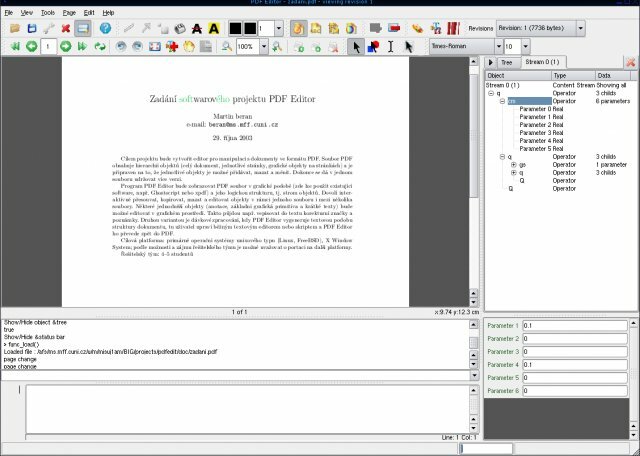 PdfEdit includes pdf editor which graphical interface is based on QT3.x with all features implemented using scripting language; therefore, any user can modify the behaviour by scripts and plugins. 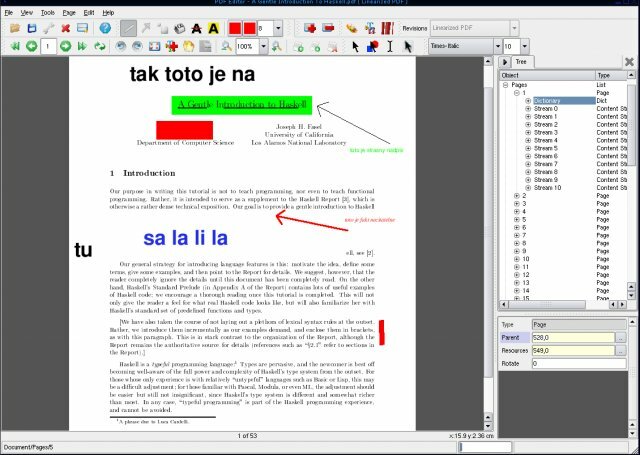 See separete section for qt4 based windows pdf editor. All files are hosted at sourceforge.net. Go to the sourceforge download page to download PDFedit. Gentoo Linux PDFedit is available via Sunrise Overlay. Debian Linux There are Debian Linux packages available.